Back when I was running a bamboo nursery I received a call from the Birmingham Zoo. 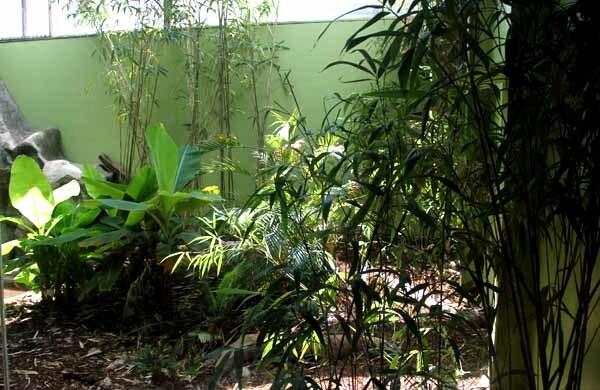 They had recently made major upgrades to the elephant habitat and were planning to add bamboo. 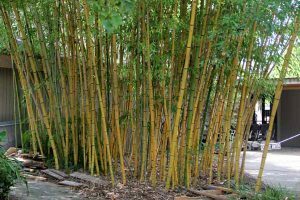 There is a quite a bit of bamboo at the zoo and they asked if I could take a look at the new habitat and give some recommendations as to what would be best for the new area. 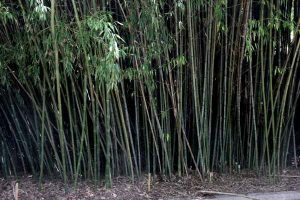 They also asked if I could help identify some of the many different groves of bamboo scattered throughout the zoo. Of course I was glad to help. Work was still going on at the Elephant Habitat and the zoo was looking for ideas on what would be best for the area. I felt the area needed something dramatic and what could be better than Moso bamboo? While I keep a large stock of shipping size plants none of us wanted to wait several years for it to reach a large size. This was in the spring with bamboo is shooting so it was not the ideal time to dig large, specimen size plants. Construction would be complete by summers end and fall is an ideal time to transplant. We agreed to meet in the fall. The zoo wants to purchase some Moso and we offered to donate at least as much as they purchased. A few weeks after our visit I received a call from staff at the reptile house. The Komodo dragon area was in need of some plants. This habitat is a large room with skylights and an earth floor. 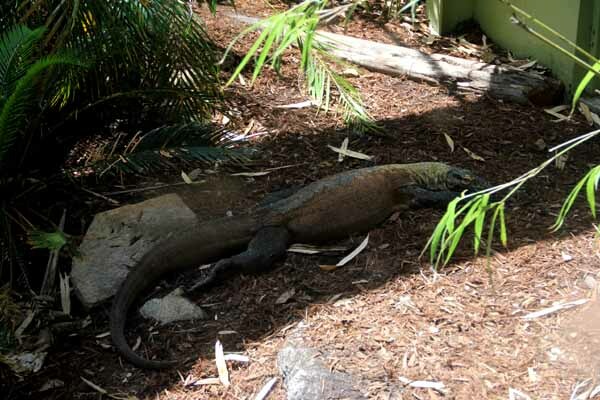 (I didn’t even know the zoo had a Komodo dragon!) I offered staff members a tour of our nursery and plantings where they could choose the bamboo that seemed best. After the visit we decided that Arrow bamboo would work best due to the lower light levels and height restrictions. 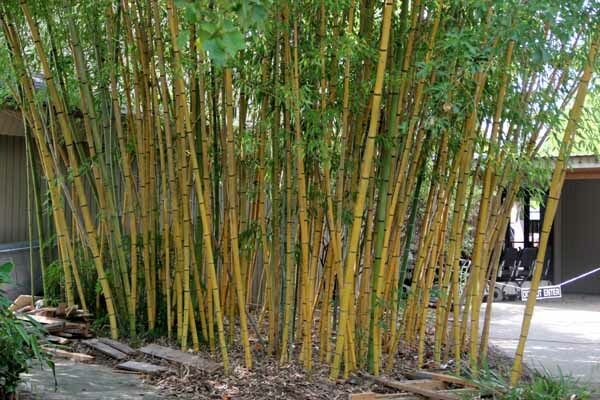 This summer the zoo purchased a number of plants and Jmbamboo donated more bamboo. The people at Southern Land Management have done a number of commercial installations for me in the past and they agreed to donate their time and install the bamboo at the zoo. We planted a large number of large, balled and burlaped Arrow bamboo plants in the Komodo dragon house and they seem to be thriving. 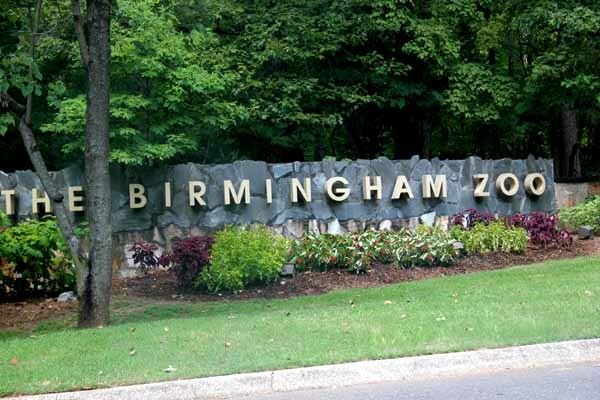 We’ve enjoyed our experiences with the zoo and look forward to working with them in the future. 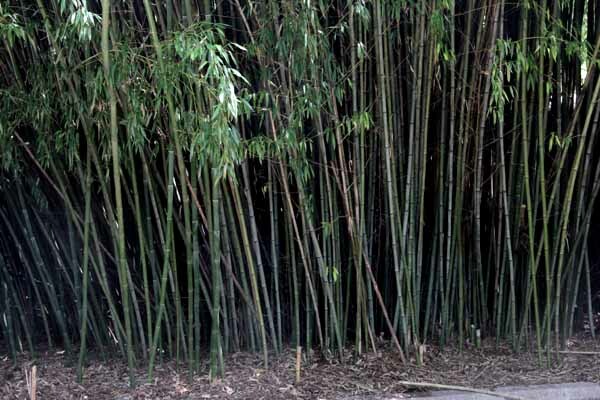 They have some remarkable bamboo groves and we hope to add to this with more variety. The greenery and shade help give the animals privacy and more of a wild feeling. My children and grandchildren love the zoo – and you will too!